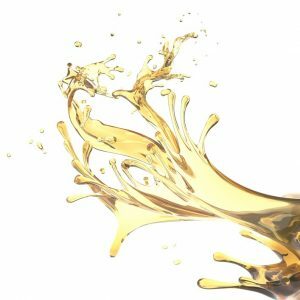 Oil, and How To Get It Out Of Your Home! Oil In Your Carpet, and How To Get It Out Of Your University Park Home! If you (or your children!) like to get wild in the kitchen, it’s important to have some basic cleaning skills under your belt—how to clean up the spills and stains that result from a fallen glass of wine, a wandering meatball, a toppled cup of grape juice, and splattered spaghetti sauce, to name a few. One of the most troublesome kitchen stains you might encounter over the years is one created with cooking oil or grease. This is especially true if you have carpeting in or near your kitchen or dining room, since you can’t wipe clean a carpet or rug. Luckily, we’ve got you covered. If you’re struggling with a cooking oil or grease stain, please check out our tips and tricks for how to get oil out of carpet. 1. BLOT. The first step in learning how to get oil out of carpet is to blot up as much of the oil as possible. Use an absorbent material such a towel, rag, or brown paper bag (we don’t recommend newspaper for this because the ink could transfer onto the carpet fibers and create an even bigger stain). You can remove the bulk of the stain this way. 2. COAT WITH POWDER. After that, coat the stain with an absorbent powder like baking soda or corn starch. Let it sit for 2-24 hours. When you feel you’ve waited long enough, vacuum up the powder and check to see if the stain has disappeared. If it has, great! If not, move on to the next step. 3. WASH WITH DISH SOAP. If the stain remains and you still need to know how to get oil out of carpet, try a grease-fighting dish soap. Create a solution with a small amount of dish washing detergent and water and apply it to the stain. Scrub with a brush or sponge and allow the product to sit for 1-2 minutes. Then, rinse with water and blot up the excess liquid (you may need to repeat this step a few times to remove all of the suds). That’s it! Congratulations! You’ve just learned how to get oil out of carpet. If the stain is still present after you’ve completed these three steps, you may need to repeat them once or even twice more. If you have a grease stain, the process for removal will be very similar except at the start, you’ll need to scrape off the grease instead of soaking it up with brown paper. NOTE: With all of these cleaning products, we recommend that you do a test patch on an unimportant and unseen area of the carpet beforehand to be sure that they will not stain or discolor your carpeting. Also, always remember to blot, never rub, so that the stain isn’t pushed further into the carpet fibers. University Park, If you can’t remove the oil from the carpet. Might want to call a carpet cleaning professional. Give Ultra Clean Floor Care a call (214) 998-3715. We are your University Park carpet cleaning specialist. Some stains can be a pain and we are here to help.